There seems to be a new gospel duo in town and they are set to release what will be the biggest hit in recent times. The group, Kwadwo Kwadwo, is made up of legendary musician Charles Kwadwo Fosu aka Daddy Lumba and talented gospel musician and composer Isaiah Kwadwo Ampong. Hints of their collaboration and decision to form the group Kwadwo Kwadwo circulated in the media some weeks ago and have been confirmed by Isaiah Kwadwo Ampong. They are expected to release their first single Hosanna this week and are expected to be a force to reckon with once they drop the song. 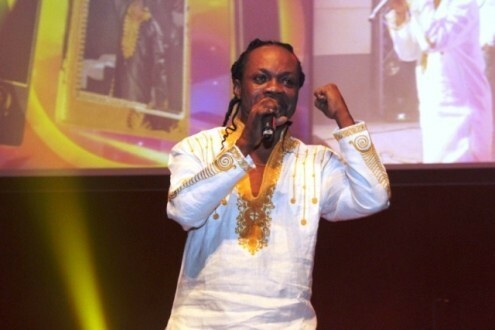 Daddy Lumba is not new to the gospel scene though even though he is one of the biggest brands in the secular music market. He has previously released some gospel songs and some albums which went on to be chart-toppers. With his exceptional vocal ability, song writing skills and Ampong’s talent, the two of them are set to release a series of songs before dropping an album.